These days, more people are choosing to ride bicycles. With the increasing number of bicycles on Michigan roads, it is important for both bicyclists and motorists to know and understand their rights. For this reason, we created Bike Law Michigan, a website dedicated to Michigan bicycle law. Here, our experienced Michigan bicycle accident attorney and avid cyclist, Bryan Waldman, concentrates a large portion of his efforts and advocates diligently for bicyclists. If you are in a bicycle accident and want to know your legal rights, are interested in learning about the laws that cyclists must follow, or are curious about the latest bicycle advocacy efforts, this is a valuable resource. Sinas Dramis Law Firm has decades of experience representing bicyclists and has a personal commitment to the cycling and endurance athlete community. The attorneys in our Lansing, Grand Rapids, Kalamazoo, and Chicago offices are dedicated to helping you know and understand your rights. In fact, many of our attorneys are cyclists, runners, or generally just enjoy being outdoors. This personal experience, coupled with their knowledge of bicycle law, make a great combination. If you’ve been in a Michigan bicycle accident, or if you have questions about your legal obligations as a Michigan bicyclist, choose the firm with more than 60 years of experience representing people just like you. Contact the Sinas Dramis Bicycle Law Group today for a free consultation. Since 1951, our firm has represented the rights of Michigan bicyclists and other endurance athletes. Our Bicycle Law Group is led by Michigan bicycle accident attorney Bryan Waldman, an avid cyclist who rides both competitively and recreationally. As a seasoned bike law attorney, Bryan is well-versed in the nuances of Michigan and Illinois bicycle rules and regulations. Many Sinas Dramis members enjoy cycling in one of its many forms (recreationally, transportation, or competitively). We have helped Michigan bicyclists across the state, including Lansing, East Lansing, Jackson, Grand Rapids, Battle Creek, Kalamazoo, Flint, Saginaw, Midland, Ann Arbor, Howell, Brighton and Detroit. We have also represented bicyclists in the greater Chicago area. Given our legal and personal experiences representing Michigan and Illinois bicyclists, our Michigan bicycle lawyers are in a unique position to help you get the justice you deserve. Whether you can receive Michigan no-fault insurance benefits. The potential liability issues if another party may be at-fault for the bicycle accident. Should you invest in Michigan bicycle insurance? Whether Michigan law requires that you wear a bike helmet. Do Michigan bicyclists have the right to use Michigan roads? If you have been injured in a Michigan or Illinois bicycle accident, visit BikeLawMichigan.com and contact Michigan bike law attorney Bryan Waldman for a free consultation. 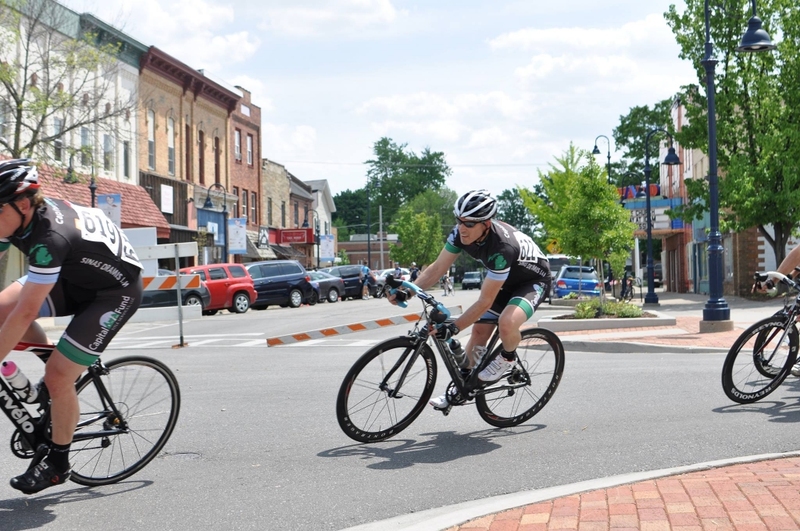 The attorneys in our Michigan Bicycle Law Group, led by Bryan Waldman, have a long-standing commitment to not only the bicycle community, but other endurance athletes as well. Many members of the firm enjoy cycling, whether recreationally, competitively or to get around on a daily basis. Our firm is also a title sponsor of the CFT-Sinas Dramis Law cycling team, the only competitive cycling team in mid-Michigan. We also believe in the importance of advocating for bicycle safety. In keeping with this mission, over the years our firm has given away thousands of bicycle helmets to school-aged children in Mid-Michigan and West Michigan. Additionally, Bryan Waldman is a member of the Bike Law Network, a nationally-recognized group of bicycle attorneys throughout the United States who dedicate time and energy to representing cyclists in their communities. They also educate both the cycling community and non-cycling public about their rights and obligations under the law.